Ok, I cheated again with the gluten but for a really good reason! This week is the anniversary of Madalene's passing and we just HAD to pay tribute to her by baking an old fashion favorite of her's. 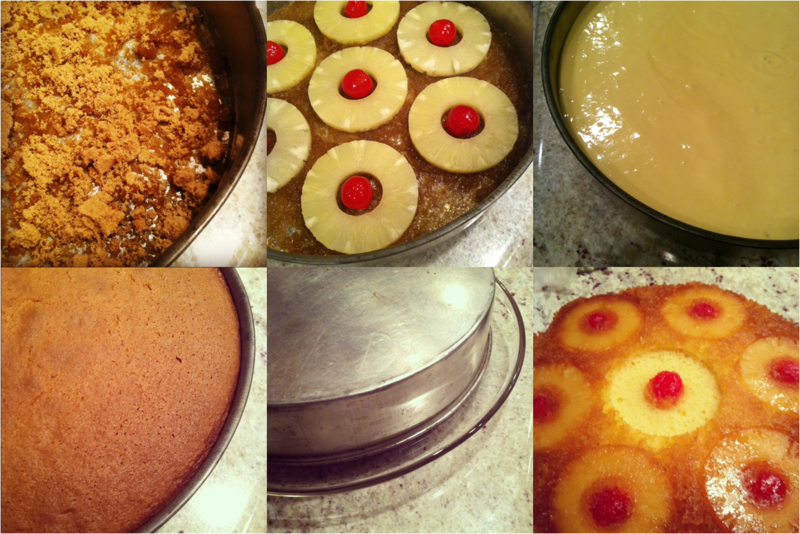 In the 50s, Pineapple Upside Down Cakes were a big trend and my Grandma jumped on the bandwagon like every other housewife. But instead of using a cake mix from the box like many others, she whipped up her own batter, which I would someday like to try. However, I'm still recovering from tarts last Sunday, so my mom and I went the easy route and used a cake mix, but we jazzed it up with pineapple juice instead of water. 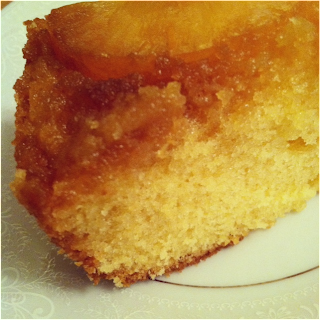 It makes a world of difference, adding more moisture, flavor and sweetness to the cake. Just a couple of weeks before Madalene passed in 1968, she was still sewing her own dresses for social events. Pain never stopped her from doing the things she loved. She fought her illness for 5 years and hardly ever complained. I can only strive to be as strong as she was. 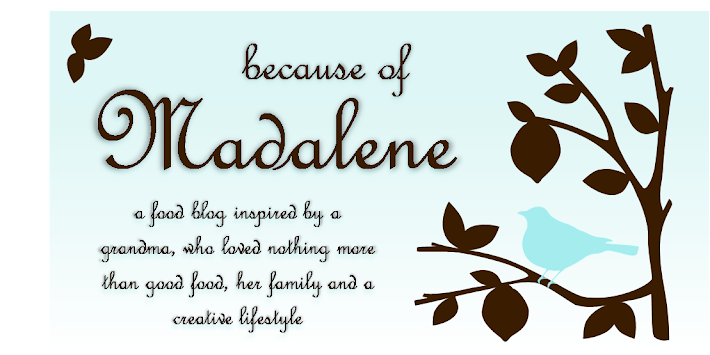 Madalene really is such an inspiration, so I look to her often and self-reflect. Place the butter in a round baking pan and put in the oven at 350 degrees. While the butter is melting, follow the directions on the cake mix box to make the batter. But remember! Instead of using water, use the pineapple juice from the can of sliced pineapples. If it isn't enough, fill the rest of the measurement with water, but it won't be much. When the butter is completely melted, remove from the oven and evenly layer the brown sugar on top of the melted butter. 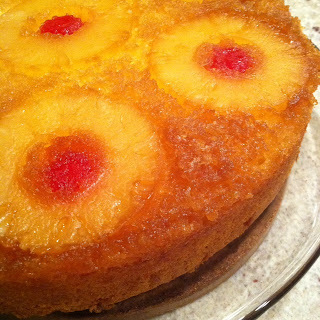 Arrange the pineapples and cherries over the sugar/butter mixture. Pour in the batter and put in the oven at 350 degrees for about 40-50 mins. Once cooked and while still hot, place a platter on top of the pan and flip it over quickly. Don't freak out if some of the pineapple gets left behind. Just remove it from the pan and place it back on the cake. Serve slightly warm or at room temperature. I usually don't like cake because it's often dry with too much frosting, but I will eat this cake over and over again! It's soo moist and the caramelized topping just melts in your mouth. my mom use to always make this for my birthday...one of my MOST FAVORITE cakes ever! Plus it's so pretty!